Fabric. It’s the stuff we sewists dream of. We love the colors, we’re drawn to the touch, the feel, the drape…*sigh* It’s our weakness, our indulgence, our vice. We can’t get enough of it, so we get and we get and we get. Am I right? This is a great reason for organizing your fabric stash. I talked recently about budget sewing, and in addition to thrifting a good portion of my fabric, I’ve been the very grateful receiver of many a glorious fabric dump. So little by little my fabric has piled up, and all though I don’t have any trouble using it, it’s evolved into a pretty mean stash, I’ll tell you what. I’ve gone through several fabric storage solutions, and am currently using an old shoe cubby I snagged at a school sale last year (works great!). Its an important part of stash busting because I think the most helpful aspect about using what you have, is knowing what you have. It’s so easy to pile and stuff, and before you know it, it’s all just a hot mess. Hard to get at, hard to see, hard to use. I’m ashamed to admit how many times I’ve run to the store to pick up a bit of something I needed only to find out later that I had what I needed already. That’s just silly and wasteful. For my stash busting project I decided to take on the monumental task of organizing and cataloging my fabric. No small feat (!! ), but something I’ve wanted to tackle for a long time, and it also fit right into my current undertaking of taking the month of April to declutter my life. This was how I decided to eat the elephant: I went through each cut of fabric and measured it, folded it uniformly, and then recorded it’s length, width, category, and brief description. Then I put it away organized by type and color (in a spectrum), so that I could see at glance what I had. Just organizing it by type was SO helpful, and worth my precious time. My final step is entering it all into a fabric inventory google spreadsheet I created so that I can access my stash when I’m at the store and wondering what I have. Still working on this, but it’s going quickly. I’m sure there’s got to be a sweet app out there for this purpose, but I couldn’t find anything, and really all I needed was to be able to access what I have. This may be overkill and more than slightly OCD of me, but it was really helpful for a number of reasons. Just going through my fabric gave me the desire to use what I have and have so much more ease in doing so. It helped me to pair down and toss what I wasn’t going to use. And it helped me to envision specific ways I could use specific cuts. I have a bajillion projects at the top of my list at any given time, but this helped me to prioritize and be realistic about what’s next on my cutting table (which is the top of my shoe cubby). I had a really positive experience busting my stash in this way, and am excited, like always, to start sewing. 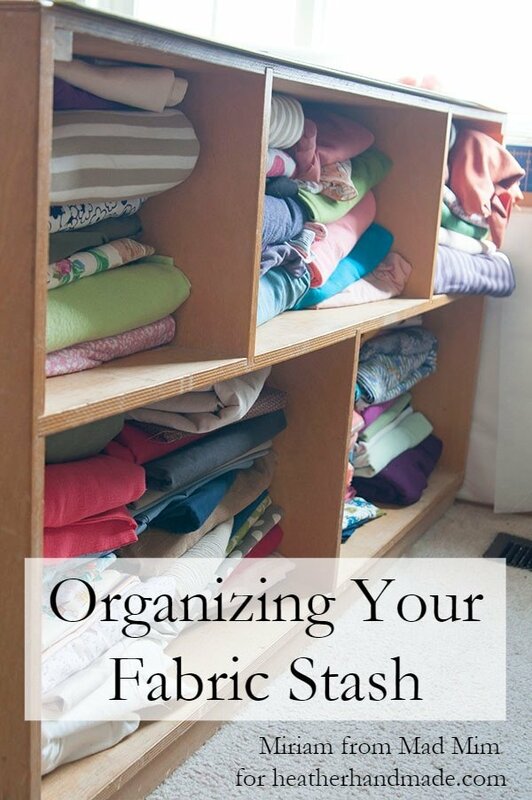 I also love all these sewing room hacks to help organize other things. What a huge, cleansing, and inspiring project! I’m oohing and aahing over all her fabric. I LOVE the idea of having access to what you have from the store! I always buy stuff that I realize I have. Thanks so much, Miriam! OH man, i want to come & sew at your house! I had a period of time when I was all about organizing my sewing room, then recently I stopped because I realized within the next year my daughter will be stealing the room from me (she's almost 5& will soon need a space to call her own rather than sharing a room with her brother) … so basically upon finishing I would then be planning and organizing for a completely different space with it's own needs and challenges. I decided then to wait until I have a permanent (or semi permanent) home before buying anything big. Till then, i'm just organizing fabric. I'm so very jealous though. Thanks Mae! I actually don't have a large space to sew in, it's just a corner of our office really, but getting my little shoe cubby (I stole for $10 I think) was important because it meant I finally had a place to store my fabric that I could see. Before it had been tucked underneath 2 different beds and closets. I dream of having a whole to myself someday, but I actually think I'll miss being right in the middle of everyone/everything, lol! Ok, love the idea of a spreadsheet so you know what you have. Someone should do an app, as this would be so useful! Thanks for the suggestions for how to organize my fabric. Guess I need to make some time for my sewing room! 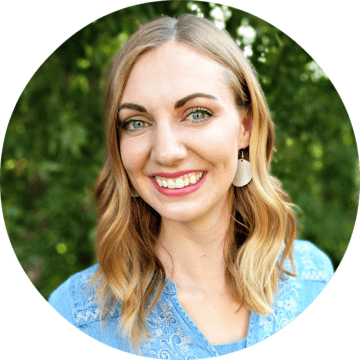 Heather–This has been an amazing series. So many great and simple ideas. And things you can do with kids running around. Thank you! I actually was trying to convince my husband to make the app (he has done that in the past), but I couldn't convince him! Someone else needs to step up to the plate!